Copyright © Elmar Lackner 2009 - This image is copyrighted. Unauthorized reproduction prohibited. 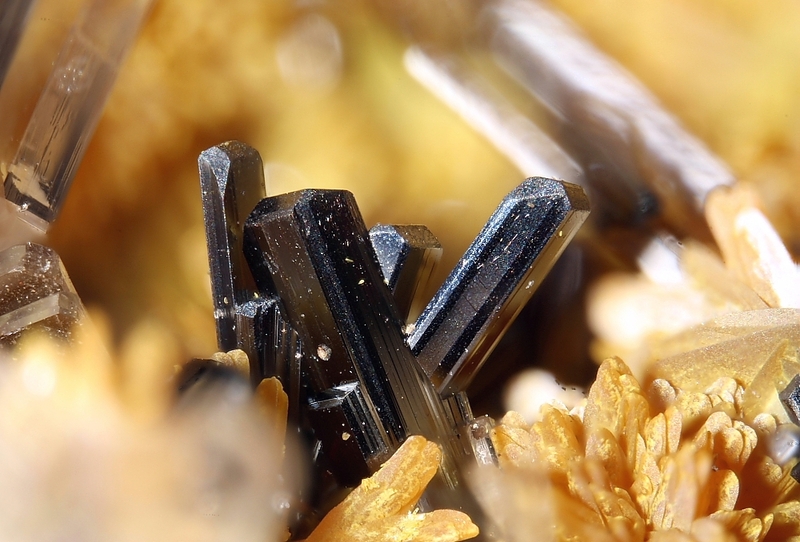 Dark red to black crystals of Hutchinsonite with yellow Orpiment and some colorless Baryte. 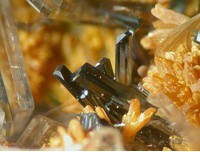 Picture width is 3,7mm.